You have a ZyXEL router (In my case a P-600R-D1) and you want to put a device behind it with a public IP. Note: I’m assuming you have agreed with your ISP that you will receive a range of public IP addresses. 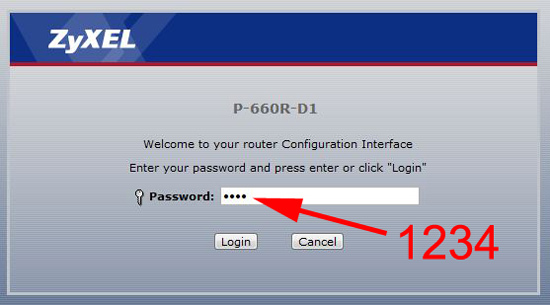 With some ASDL packages the first IP in the range usually gets allocated to the router, confirm this with your ISP. BT Business Broadband Note: If you are a BT Business customer, your setup will be slightly different, I’ll point that out as we go along. 2. You will be prompted to change the default password, do so, then select the option to go to ‘Advanced Setup’. 3. 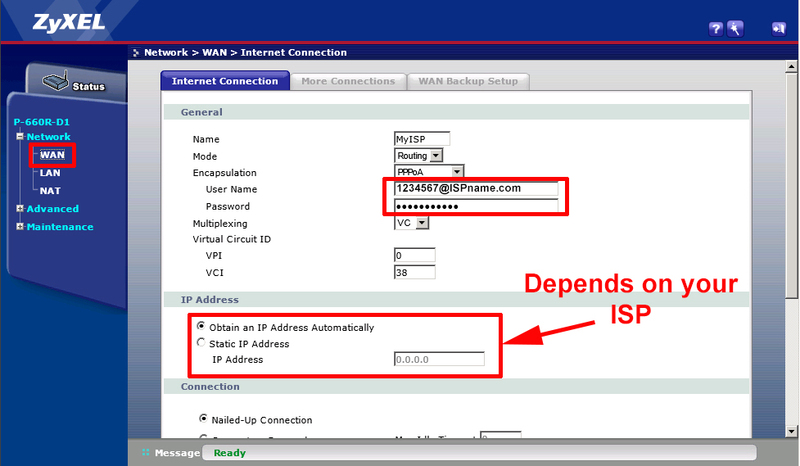 Expand Network > WAN > Enter the ADSL details provided by your ISP (i.e. ADSL username and ADSL password). 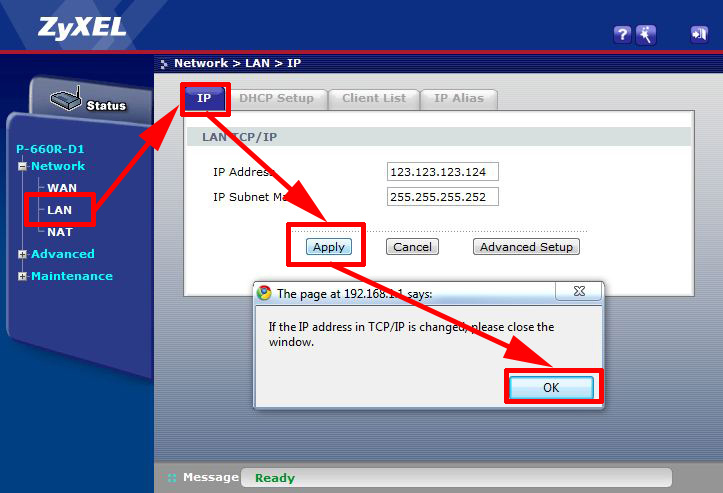 If you are having a static IP on the outside of the router you can also set that here. Note: If you have only been given TWO IP addresses you may need to set BOTH the WAN and LAN IP address to the SAME IP (and disable NAT). 4. 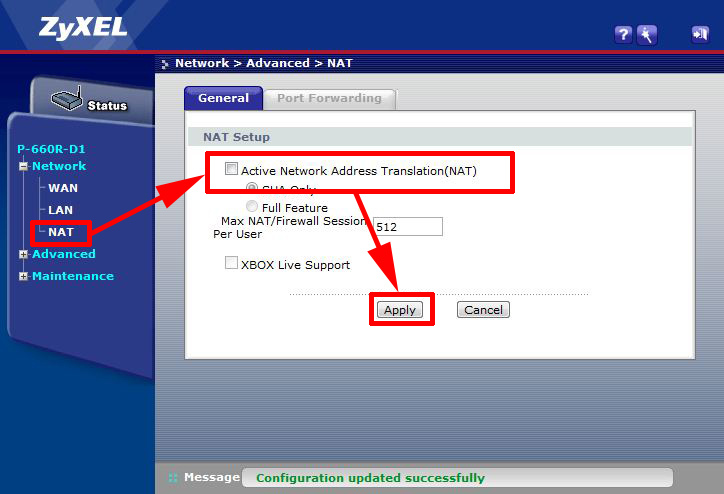 Disable NAT ONLY IF YOU ARE SETTING THE LAN AND WAN TO THE SAME IP: Select NAT > General > Un-tick “Active Network Address Translation (NAT)” > Apply. 4. 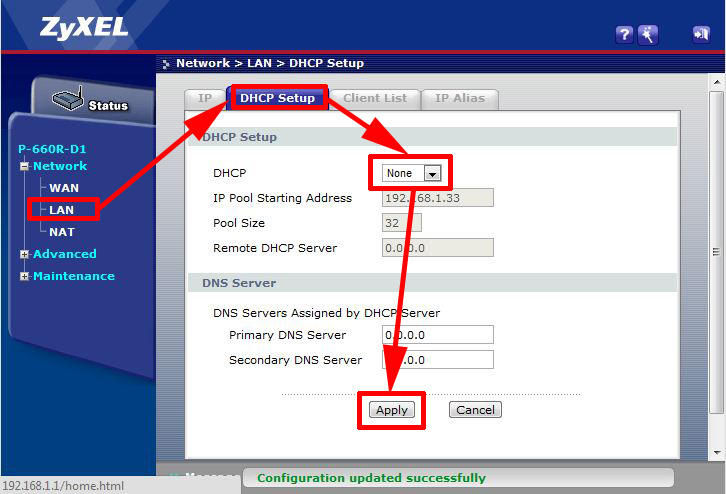 Disable DHCP: Select LAN > DHCP Setup > Change DHCP to “None” > Apply. 5. Set the inside IP: Set this to the IP address allocated to your Router – (Note: this may be the SAME as the address allocated to the outside IP, don’t panic it will not conflict (NAT is disabled). BT Business Broadband Note: This is typically the highest IP address in the range, BT have given you. 6. You can now connect your internal device/firewall (Note: You may need to reboot the device AND the router as the MAC address may have changed if you have been testing from your laptop/PC.) Or simply allocate another public IP address to device, then make its default route, (or default gateway) the IP address you set on the LAN port of the ZyXEL, (in our example above 123.123.123.124). 1. Power off the router. 2. Depress the reset button on the rear of the router. 3. Power on the device until the ethernet light, flashes amber. 4. Now DHCP will be turned on and the router will use 192.168.1.1 internally and the default password will be reset to 1234.